Last month, Trump praised Manafort for refusing to cooperate in order to make a deal. 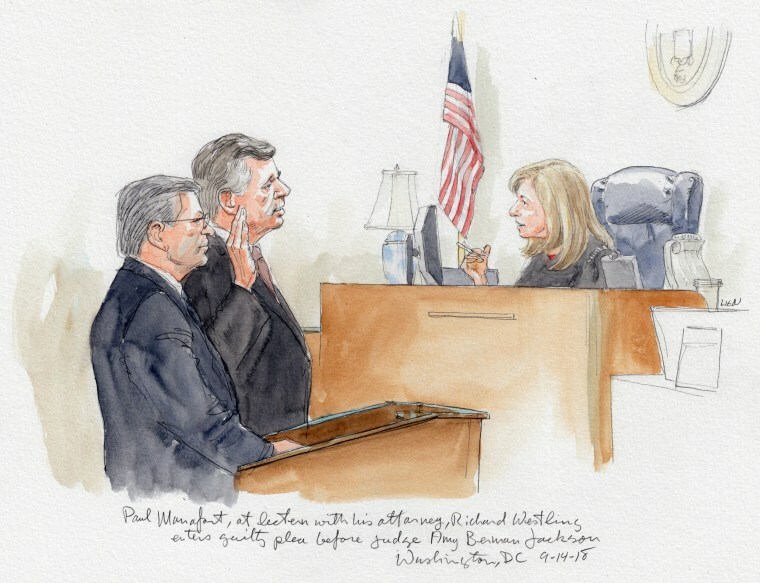 The cooperation agreement filed with the court Friday says that Manafort must cooperate fully with the government in "any and all matters as to what the Government deems the cooperation relevant." It also says that on Tuesday, Manafort or his attorney offered federal prosecutors a written proffer agreement, meaning Mueller's team has likely learned what kind of information Manafort can provide for their ongoing investigation. Former U.S. attorney and MSNBC contributor Chuck Rosenberg said, "Typically, an initial proffer session with a defendant would be covered by a written agreement and the defendant would give prosecutors an overview of the topics and events where he could be helpful." His admission of guilt to the 10 Virginia charges does not mean that he has pleaded guilty to them, and he will not be sentenced for them. However, should he violate his plea agreement, prosecutors could use his admission of guilt against him. The two counts carry a maximum sentence of 10 years in jail and six years of supervised release, as well as up to $500,000 in fines. Manafort agreed to delay his sentencing until his cooperation is fulfilled. If Manafort completes his plea agreement and cooperation, prosecutors will dismiss five remaining Washington, D.C., counts against him. Charlie Gile, Kristen Welker and Dartunorro Clark contributed.